As I have said before, Twitter is my favorite Professional Learning Network (PLN). 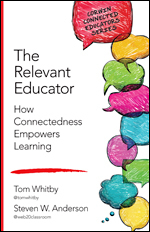 Regular readers (or those just stopping by) have read about my obsession with this service and how I believe it will change education as we know it. But what if you are new to Twitter? Where do you start? Who do you follow? Do you use the web-based service or one of these desktop clients? 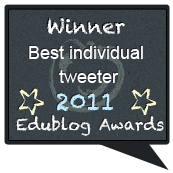 Twits Like Me: Find other users in education through Twits Like Me. WeFollow: WeFollow offers a user powered Twitter directory. Twitter4Teachers: (Not in the list but should be!) 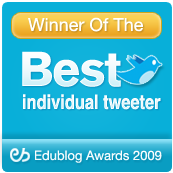 This is the best place to find educators that you want to help build your PLN. And remember to add your name and info so others can add you! LiveTwitting: During lectures, events, and more, you can use LiveTwitting instead of liveblogging. TwitPic: You can share photos on Twitter, or find photos from all around the world using this service. Twitter Weather: Share daily weather updates with your class by using Twitter Weather. Twiggit: Using Twiggit, you can find news and articles related to your curriculum. @weather: You’ll learn about weather news from the Science News Blog from @weather. @donorschoose: Follow @donorschoose to learn about funding for public schools. @educationweek: @educationweek shares news about American education. There are other categories like games, productivity, and integration that I did not cover here. But I think you get the idea. There are so many tools out there to really get the most out of Twitter, no matter what you use it for, but especially for education. So head on over to the Best Colleges Online Blog to harness the power of Twitter!